Surface finish allows for high quality powder coating that will facilitate up to several year warranties from surface rust. 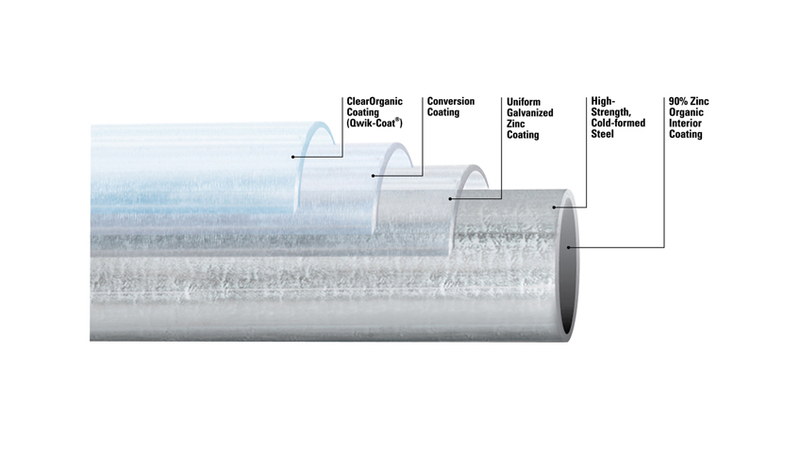 RS Tube (a specialized Flo-Coat® product) is considered the "desired product" for playground structures. We are the nation’s largest distributor for RS Tube. Guaranteed consistent high strength allows engineers to design complex structures within liability limits. Allied is the only manufacturer of the much needed 3 1/2" od and 5" od for support columns. Embossed surfaces available in select sizes for grip enhancement for ladders and other handrail applications. The coatings are non-toxic so if children "chew" on the bars, there is no danger. Other products have a high lead content which would not be desired. 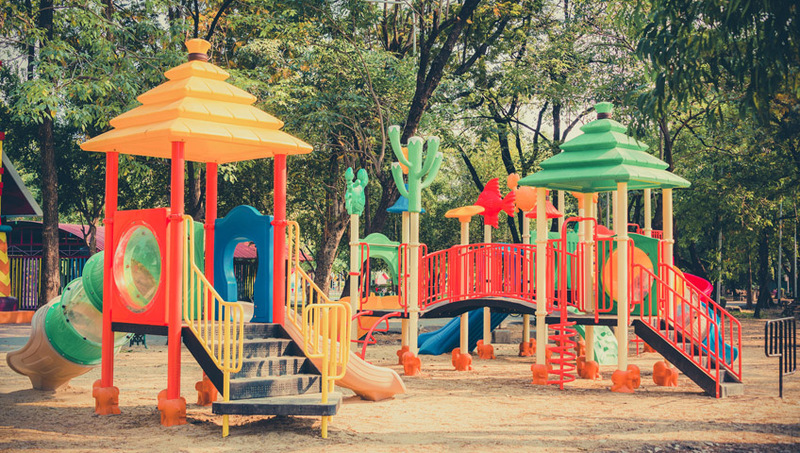 Because of the design opportunities, the ADA has endorsed Flo-Coat® as the item of choice when installing a playground design for the handicapped. 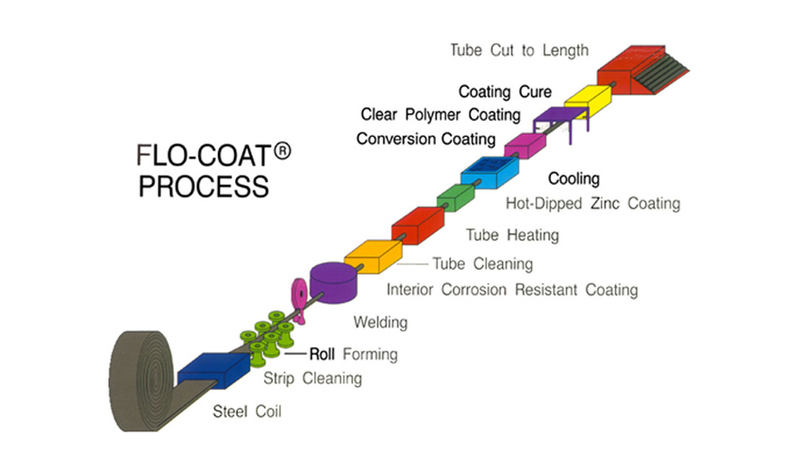 Extreme fabrication is possible without affecting the coating. Very interesting shapes can be designed, fabricated, then powder coated and be expected to perform just like a straight length of tube. Complete size range available in 1/2" thru 5" round, squares and rectangles up to 4 inches.